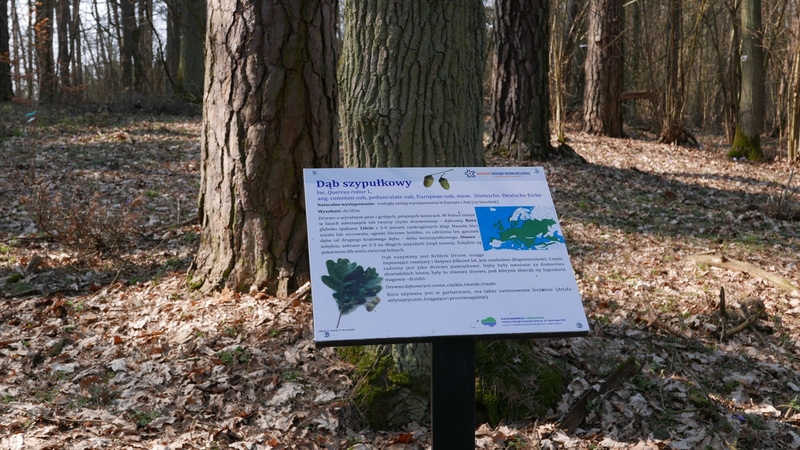 On March 25th, 2019, the Nencki Institute received from the General Director of Environmental Protection, a decision allowing the creation and maintenance of the Arboretum – a forestry Botanical Garden at the Research Station in Mikołajki. The Arboretum will be located in the forest surrounding the Station’s buildings, the banks of the lake, and in the area of the technical buildings of the Station (16 ha in total). The collections will be established in the forest area, covering a total of 10.67 ha, and will be composed of various species of shrubs and trees. The collection of clones, lindens, oaks, birches, yews, as well as plant collections from northern and eastern China, the Caucasus, and North America is planned. The vicinity of the lake will allow the presentation of a collection of coastal plants. The restitution of endangered species will also be conducted later in the Arboretum.